Don't mess with our decals! Some folks have asked me since last weekend, "what was SCCA like?" 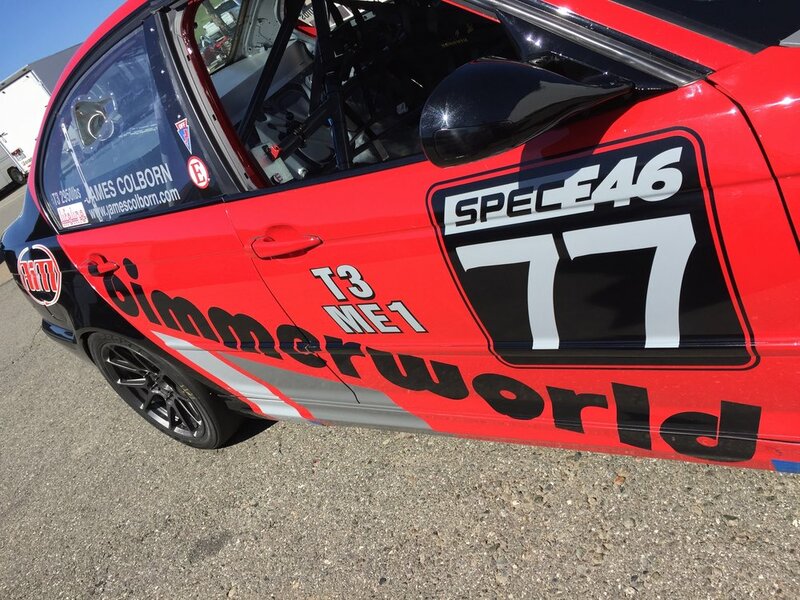 Well, while Thunderhill wasn't my first SCCA weekend ever - I'd done an enduro at VIR and the Rose Cup races in Portland - it was my first race with my own car needing the full SCCA treatment (tech, decals, scrutineering etc.). As a result, here are my observations. My lasting observation was that SCCA personnel are really kind, friendly and lovely people. I honestly didn't expect this as SCCA is a little more commercial than the Conference racing in the PNW (whose kindness has kept me flying 5,000 miles a weekend to race for 4 years now). This being said, I would also say that the procedures and practices from a commercial organization were clear to see. This came in a few areas, from tech of the car (which was an hour long vigil) through to the GCR Rule Book (which requires a law degree to understand) and the post race scrutineering that holds you in impound for a mandatory 30mins after the race has ended. From a complete opposite aspect, however, no drivers meetings all weekend. Wow! Then there was the decals or stickers! Don't mess with their stickers otherwise you'll be a troublemaker for sure that, I might stress, could cost you your race results. All I simply asked was "what if I don't want to stick those on my car?" Oops! Don't ever ask that. Same goes for the SCCA patch on your suit. Overall, the weekend was a huge hit for me. SE46 made the T3 group something the officials and stewards talked about (mostly for good close racing reasons... mostly) which was great. Learning Hoosiers was a fun experience and I think I got 80% of the way there (I need more time on them) and the live stream was a hit (once I'd figured out YouTube Live). Racing with old friends in new surroundings was a blast and I can't wait for the next SCCA race later this year. 1 of 3 Majors races complete. PIR will be the next in May. SE46 is now SE46 #77 in T3.